In a sea of tens of thousands of households around the Ocean State, there might feel like a vast gulf between your business and prospective customers. But with Valpak of Rhode Island behind you, you can ferry your brand’s message to up to 140,000 qualified households and beyond. We offer both direct mail and digital marketing services to stretch your ad dollars further and send your message farther. 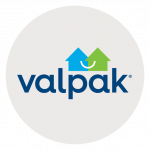 Talk to Valpak of Rhode Island and let us introduce – or reintroduce – your organization to the neighborhood. Choose from a variety of print formats to reach prospective customers: single-panel coupons, multipanel coupons, cardstock and more. Then complement your ad with our digital enhancements, like a business profile page on valpak.com. Valpak of Rhode Island works for all types of enterprises, such as health and medical, shops and restaurants, automotive, home and office, entertainment and travel and professional and general services. Whether they complete the sale on or offline, most shopping experiences these days start with an online search. And Valpak of Rhode Island increases your company’s online presence so that your organization will be in the minds of both decided and undecided consumers. Grow your business affordably and effectively with Valpak of Rhode Island. Get into the hands of qualified households in Providence, Warwick, Cranston, Woonsocket, Newport, Narragansett and Block Island, among other cities throughout the state. For specific dates and coverage, contact your Valpak of Rhode Island representative.